A 200-kilometre road (124 miles) project stretches between the townships of Batschenga, Ntui and Yoko, in central Cameroon. The road crosses farms, forests, water bodies and pastoral areas that sustain the mostly agrarian economy of nearly 40 villages and three towns. The road, a basic infrastructure that many countries take for granted, literally shapes the lives and livelihood of the people living along it. It decides whether a small entrepreneur will get her products transported on time, and at what cost, and whether more people will come to a restaurant that another has invested in. It determines what markets a woman farmer can access and how often a working mother can visit her daughter who is studying in the city. The red dirt road, waiting for asphalt, will determine if food, income, job, healthcare, livelihood will come, when, and to whom. UN Women’s “Gender Road Project”, funded by The Development Bank of Central African States and the Government of Cameroon, is aiming to reach at least 20,000 women by 2020, living in rural communities along this road, to prepare them for a better future and access to bigger markets once the road is built. The project teaches them financial and entrepreneurial skills, improved farming techniques and facilitates their access to public services and land rights. “I grew up in Batchenga. It used to take us 3-4 hours to travel 48 Km (30 miles) from Batchenga to Yaoundé, the capital, before this part of the road was paved,” says Dorothee Mbogo, 38-year-old single mother and owner-operator of a small business. Like most women in the area, she’s also a farmer. Mbogo grows cassava and watermelon in less than two hectares of rented land. She goes to the farm three days a week, works all day and comes back to open her little “call box” business in the market in the evening. It’s a small, mobile stand where she sells cigarettes, candies, snacks and operates a pay phone. “Every day, between 10 – 30 people use the call box. When the town has no electricity, more people come to use the pay phone because I have a solar panel and can charge mine using solar energy,” she shares. This isn’t Mbogo’s first attempt at starting a business, but it’s the first time that she’s making a profit. She started the business with an investment of 110,000 CFA franc (USD 190) and today she makes about 50,000 CFA franc (USD 86) daily. Learning to budget and save has been key to her success. Everything that Mbogo does is for her daughter, who is in the first year of high school in Yaoundé. “My parents died when I was barely two and I was raised by my uncle. It was very difficult not having the affection of my mother… so I work very hard to make sure my daughter gets everything that I didn’t,” explains Mbogo. It helps tremendously to have a paved road so that she can visit her daughter on some weekends, and now it takes only 45 minutes. After passing through Batchenga, the asphalt ceases to exist. The red dirt road snakes across farms and villages, riddled with potholes. The 20 km (12 miles) ride from Batchenga to Ntui takes six hours on a good day. On a bad day, farmers and suppliers alike may come to a standstill when the road is flooded or if there’s a fatal accident. That happens often. In a country where 52 per cent of poor household members are women, and agriculture and small trade are their main sources of income, the condition of the road determines profit, loss and much more. In the heart of Ntui, a town of less than 26,000 people, Mereng Bessela’s restaurant sits on the unpaved main road. “I started the restaurant business three years ago when I heard that the government is building a road between Ntui and Yoko. I knew the road project will bring more people,” says Bessela, an astute business woman. She is a single mother, having divorced her unfaithful husband and is now raising five children by herself. Her restaurant business has taken off, and through the UN Women project, she has also learned about business management skills. What’s more, she is a budding fish farmer and has learned better techniques through the training. Previously, she was losing money because the fish drained out of poorly built reservoirs and she was using costly fish food. “I have learned how to build the reservoir, how to breed and multiply the fish stock and how to feed the fish using local and natural food that’s organic and less costly,” says Bessela. Now, she is ready for more clients in her restaurant and more buyers for her fish. The Gender Road Project is about women’s empowerment and more equality between men and women in the region. When public services are inaccessible, it penalizes the poorest of the poor. An estimated 3,000 children living in communities along the road project do not have birth certificates. Since many women don’t give birth in hospitals, a child doesn’t get immediately registered at birth. Getting a birth certificate later is a long and expensive process. It can take up to a year and cost 60,000 CFA franc (USD 104) per child, which very few can afford. Without a birth certificate, children cannot sit for the public examinations, graduate from primary school and join secondary or higher education. They also cannot get national identity cards which are required to access other public services. The UN Women project has helped 200 children get their birth certificates within a year, and 155 more are in the process. The local council has agreed to subsidize the cost of getting a certificate and now each parent has to pay only 3,000 CFA franc (USD 5) per child. Nbdemke Elizabeth, 13 years old, and Yeng Chimine, 12, are neighbours, and have benefited from this initiative. This year, they will sit for the first public examination. Both want to become doctors when they grow up. 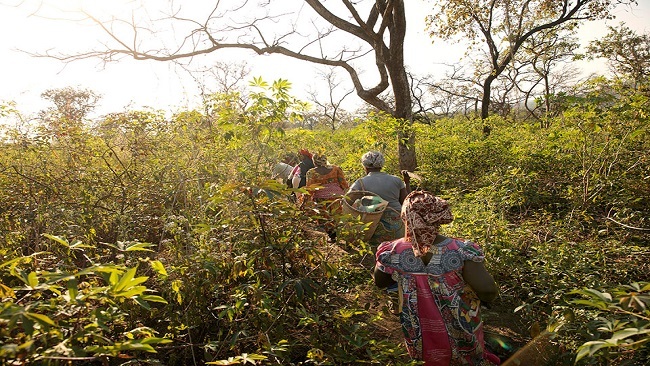 Seven hours from Ntui, a women’s cooperative is forming in the township of Yoko. It’s called SOCCOMAD and has 42 members, including four men, who joined as allies. Tukuri Marie Chantal, 52 years old, is an active member. “Because of the road project, we decided to start a cooperative and to empower women in our village,” she says. A small section of the road near the farm is already paved. Once the road is completed, women farmers will have easier access to bigger markets to sell their produce. The cooperative is not just about income, it’s also about solidarity. In this impoverished area where social protection barely exists, the cooperative has given women a support system that they never had before. “Personally, I decided to join the cooperative to be united with other women. When I have a problem, I now have sisters who can stand by me,” says Seto Satou. The cooperative members help each other with a range of issues—from helping each other farm their crops if someone is sick, to talking to couples when there’s a family dispute and helping each other save. “When my husband had a heart attack and had to go to the hospital, most of the women came to help me,” adds Tukuri Marie Chantal. The women of SOCCOMAD are happy and hopeful today. At the end of a hard day’s work, as they pile on a hired van to go back home, they sing their hearts out. The world is full of all sorts of strange, and sometimes deadly, features and among them is Cameroon’s Lake Nyos, which exploded and claimed the lives of people in a number of adjacent villages. In 1986, Lake Nyos, a crater lake in the north west of the country, suffocated almost two thousand people in a single night. Like many other crater lakes, which are formed by subterranean volcanic activity, Lake Nyos contained a high level of carbon dioxide gas. However, instead of the gas dissipating over time as the water turned over, the lake stored the gas for centuries, making it a ticking time bomb for residents close by. Once the lake was triggered, an explosion known as a limnic eruption occurred so catastrophic that it released thousands of tons of the toxic gas at a reported speed of 60 miles per hour, annihilating life in a 15-mile radius. Warwick Law School postgraduate alumnus Joseph Dion Ngute has been appointed as the new Prime Minister of Cameroon. Dion Ngute took office on 5 January 2019, replacing Philemon Yang, the country’s longest-serving Prime Minister. 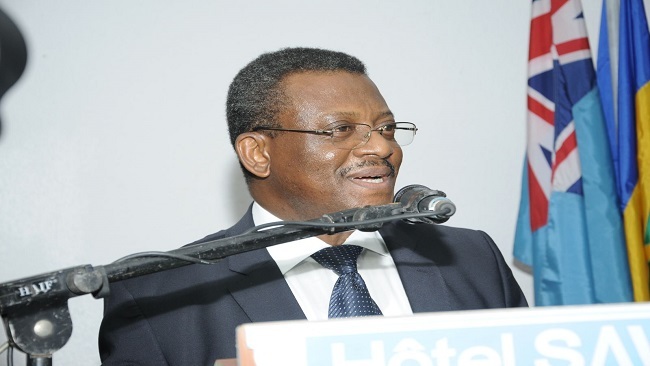 Dion Ngute has served in the Cameroonian government since 1997, including positions at the Ministry of External Relations and at the Presidency of the Republic, and he has represented Cameroon on both the UN Human Rights Council and the African Commission for Human and People’s Rights. Connect and inspire African youth with the possibilities of their rich heritage. Use digital technologies, including social media, to promote heritage awareness and support creative industries. Engage heritage as an economic asset, to address poverty and unemployment among young people. These are just some of the potential directions discussed during ICCROM’s Africa Expert Meeting for Cultural Heritage Conservation, held at the Egyptian Academy in Rome from 9 – 11 January 2019. Fifteen professionals from 15 institutions met to discuss how best to design an impactful programme to support youth and its engagement in heritage in the African region. The Africa Expert Meeting took inspiration from the United Nation’s 2030 Agenda for Sustainable Development, and particularly from the development goals for sustainable cities and communities, gender equality, decent work and economic growth. Also invoked was the Africa Union’s Agenda 2063 “The Africa We Want,” which is committed to realizing Africa’s full potential in development, culture and peace. The event was launched on Wednesday 9 January in the presence of HE Mr Hisham Badr, Egyptian Ambassador to Italy, HE Mr Hassan Abouyoub, Moroccan Ambassador to Italy, Mr Giovanni Panebianco, Secretary-General of the Italian Ministry of Cultural Heritage and Activities (MIBAC), and Dr Gihane Zaki, Director of the Egyptian Academy in Rome, together with Dr Webber Ndoro, Director-General of ICCROM. 1) Sustain economic and social development through innovation and engagement with stakeholders for youth and women in heritage. 2) Increase engagement and interest of youth and women in heritage through the adoption of a people-centred approach in conservation. 3) Strengthen institutions as dynamic, innovative, reliable and attractive resources for communities, government and the private sector. These objectives were presented at the event’s closing ceremony on Friday 11 January, attended Mr Giorgio Marrapodi, Director-General of Italian Ministry of Foreign Affairs and International Cooperation (MAECI), and Mr Cléophas Adrien Dioma, Director and co-founder of the Ottobre Africano festival and representative of the African Diaspora in Rome. For his part, Dr Ndoro thanked all the meeting participants for their contributions to the discussion, as well as the ambassadors and institutional representatives present. He extended particular thanks to the Egyptian Academy in Rome for hosting the event, and called on all ICCROM’s partner institutions and Member States, both in Africa and worldwide, to support this new initiative. Member States represented: Benin, Botswana, Cameroon, Canada, Côte d’Ivoire, Egypt, Ethiopia, France, Morocco, Nigeria, Saudi Arabia, South Africa, Sudan, Swaziland, Tanzania, and Zimbabwe. The Africa Expert Meeting was held at the Egyptian Academy in Rome, by gracious invitation of its Director, Dr Gihane Zaki, also an ICCROM Council Member. The Egyptian Academy is the only fine arts academy in Rome that represents both Africa and the Arab States, and thus is a committed stakeholder in a successful Africa strategy at ICCROM. On 22nd September 2018, the General Assembly of SOBA UK met at St George’s Park, Burton Upon Trent under the theme “Together we Succeed” and committed to modernising its financial systems. SOBA UK is pleased to announce the successful appointment of the UK Accounting firm Danbro as SOBA UK’s Accountants. Danbro Accounting will provide accounting services, supply and manage a cloud-based accounting system for SOBA UK. The financial data migration phase to the new cloud-based accounting system was recently completed. The Executive Treasurer and Financial Secretaries have been getting to grips with this fantastic new proprietary tool and are excited about the prospects of providing robust financial reporting to our members. Why is this important to SOBA UK? Members commitment – Members voted to modernise our financial systems and reporting. Automatic reporting – Automatic reports (P&L, Balance sheet, Transactions by Categories etc) can be produced directly from the cloud-based system. Increased activity – SOBA UK’s financial activities have increased greatly over recent years and there is a need for a proprietary solution for easy and instant reporting. Securing data – SOBA UK’s financial data and analyses will be held securely on the system for future members. There is no more use of Excel Workbooks located on private computers. Improved productivity – This will free up time for the executive team to spend on core association activities and engaging with members. Greater accountability – There will be more accountability through independent reviews of SOBA UK accounts by Danbro. What will the UK accounting firm Danbro do for SOBA UK? Supply and manage the cloud-based system. Provide annual accounts for our members. Deal with correspondence from HMRC and other agencies. Act as the corporate secretary for SOBA UK as would be required. SOBA UK is excited about this great new development in the association, with the management team looking forward to working with Danbro to provide greater financial insights to both members and other agencies. Sitting before Canada’s House of Commons Subcommittee on International Human Rights on October 30, human rights lawyer Felix Agbor Nkongho had just seven minutes to describe the crisis that has consumed his life and the lives of millions of anglophone Cameroonians for the last two years — and to state why he believes Canada should help to resolve this conflict. Nkongho, the founder and executive director of the Centre for Human Rights and Democracy in Africa (CHRDA), has been working towards justice for Cameroon’s anglophone community for nearly three years. But to his government, he is a threat. “I am not doing this for any personal gain. I am doing it for the people, because I think that when injustice prevails you cannot live in a free society,” he told OpenCanada in an interview. Despite his current celebrity status, he continues to be guided by an obvious humility and sense of duty. 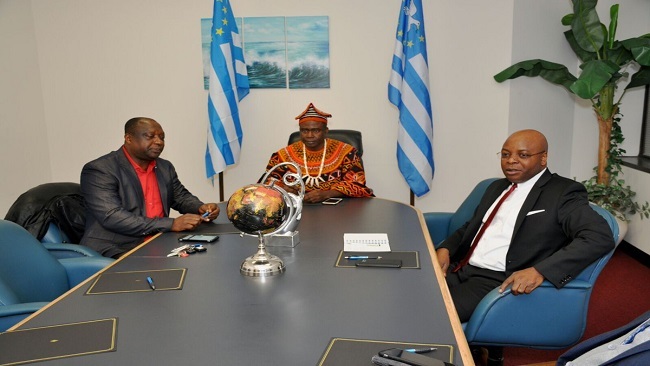 His appearance before the House was one of his final stops on a 10-day trip to Canada to raise the profile of the conflict between the anglophone population and the Cameroonian government. Like Canada, Cameroon is a bilingual and bijural country, but with a French majority of around 80 percent. While British Cameroon was gaining its independence in 1961, its population was given a choice: join French Cameroon or Nigeria. Following a plebiscite, the anglophones decided to join French Cameroon in a federal state with two national languages and cultures. However, that vision didn’t last. Within a few years the majority Francophone government initiated plans to unify the country. Today, anglophone Cameroonians say they have experienced an almost complete erosion of their autonomy and language rights. “There’s a sense that we do not belong to the country…It [became] clear…that we were second class citizens, that the government didn’t respect the bilingualness and bilculturalness of the country,” Nkongho said, reflecting on Cameroon’s history and what has led to the current state of conflict. Corruption, lack of autonomy over their lands, and a francophonization of the judicial and education systems are among the issues raised by anglophones. “How can you have a fair trial where your client or counsel doesn’t understand the language of the judge or the court?” asked Nkongho. 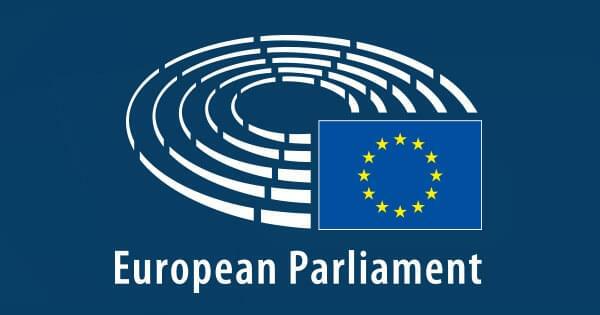 He explained that legislation in the country is often written in French only. He and his colleagues are required to interpret the law and argue cases in front of French-speaking judges who are not trained in and do not understand English common law. 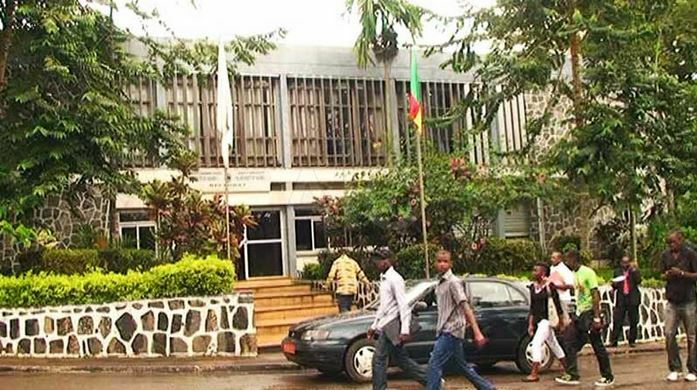 After several failed attempts at addressing these issues with the government, a group of Cameroon common law lawyers went on strike in October 2016. They were met with silence. The lawyers refused to be ignored and decided to take things a step further by organizing peaceful demonstrations. Joined by students and the teachers’ union, they marched through the streets of Bamenda and Buea, the capital cities of north and southwest Cameroon, in their wigs and gowns. This time, the police were there to meet them. 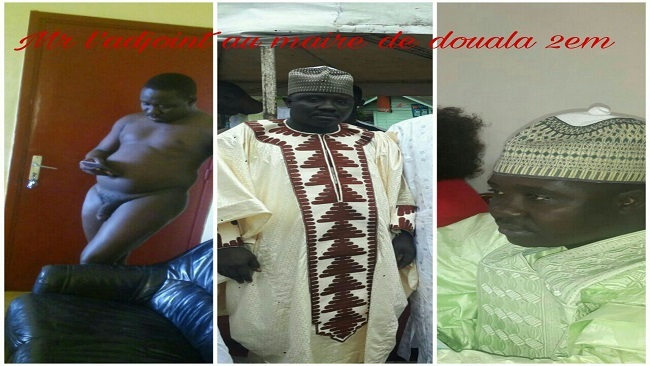 “Lawyers were beaten, dragged into the mud, their wigs and gowns were seized,” said Nkongho. Hundreds were arrested and several wounded. The attacks only served to fuel the activists’ passion and led to the formation of the Cameroon Anglophone Civil Society Consortium. With Nkongho as their president, the lawyers and teachers worked together to build a case to once again present to the government. 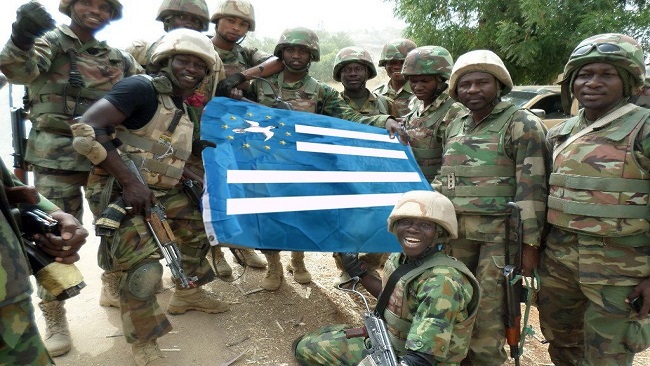 Despite some initial progress, what ultimately ensued was an influx of government security forces and increased violence in the anglophone regions. Without warning in January 2017, the government cut off internet to the anglophone region, banned the consortium and arrested its leaders, including Nkongho. “We were blindfolded, cuffed and [driven] for 10 hours before we were interrogated and locked in dehumanizing conditions,” he said. The group was charged in front of a military tribunal with eight separate counts including terrorism, secession and incitement of civil war. Nkongho was sent to a maximum security prison alongside members of Boko Haram for a total of eight months, including 45 days in solitary confinement. Nkongho and 54 others were released from prison in August 2017, but Nkhongo says many others remain. By that time the peaceful movement had been derailed. 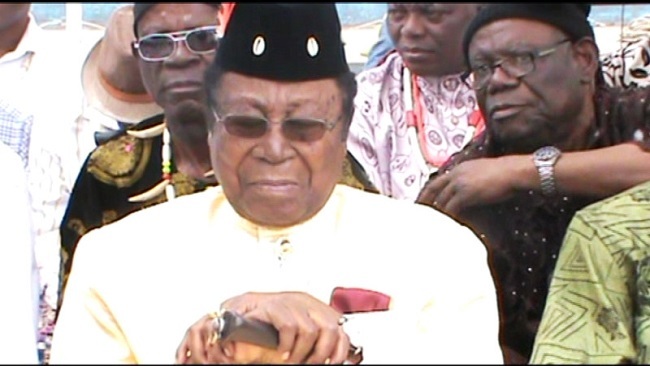 According to Nkongho, the government had declared war on the anglophone community and the secession movement had become more violent. State security forces have reportedly used excessive force, including tear gas and live ammunition, on the ground and from helicopters against unarmed civilians during at least five separate rallies. 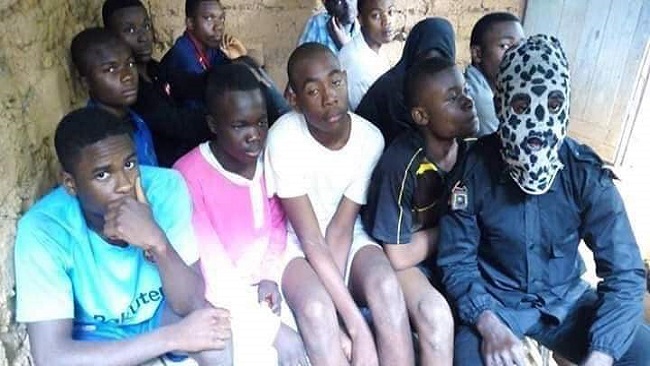 According to the CHRDA, since 2016, 1,000 Southern Cameroonians have been detained, 4,000 killed, countless others abducted, beaten and tortured, and 160 villages burned to the ground. Tens of thousands of children have been out of school since 2017 and 58 schools have been attacked by separatist rebels seeking to enforce a boycott. The UN puts the number of internally displaced persons from the anglophone regions as a result of this conflict at 437,000, with 26,000 registered refugees in neighbouring Nigeria. The CHRDA estimates a total of 50,000 refugees. Nkongho hopes that Cameroon’s election to the council will inspire the government to clean up its human rights record. However, the recent and controversial re-election of the country’s 85-year-old president, Paul Biya, for another seven-year term leaves him concerned. As head of state for 36 years, Biya has been a great friend to countries in the region who in turn have not spoken out against him, says Nkongho. Since Biya’s re-election, a handful of journalists have been arrested based on a number of charges, including the spreading of false information. Nkongho is urging Canadians to speak up against the atrocities taking place in Cameroon before it’s too late. “The ‘never again’ principle will have been dealt a serious blow if Cameroon degenerates into Rwanda,” Nkongho told the House in October. He reminded the subcommittee about its responsibility to protect under the UN Charter and urged the Canadian government to raise the issue in international fora, or with those interested in investing in Cameroon. He believes that Canada is well-placed to support Cameroon, given its similar makeup. The Cameroonian diaspora in Canada is small but vocal. Within the group, many anglophones have come together to seek condemnation and assistance from the Canadian government for their families in Cameroon. “My father is a mayor, and he has often been threatened by those fighting for separation because they perceive he is working for the government,” said Olivia Leke, who is now based in Montreal. Her family fled from their village to Yaounde, the country’s capital, fearing for their safety as the homes of several local leaders were burned down. They continue to live in a state of limbo as their hometown is now deserted. Leke is one of several members of the Southern Cameroon Association in Quebec, a group formed to seek legal advice on how to stop the human rights violations taking place in Cameroon. They have written to MPs and Global Affairs Canada (GAC), but are unsatisfied with the basic response received from GAC. Another member of this group, Ntebo Ebenezar Awungafac, is a well-known human rights advocate in Southern Cameroon but finds himself unable to leave Canada due to the conflict in his country. As the former executive director of the human rights organization Global Conscious Initiative, Awungafac came to Canada in 2015 for a month-long human rights training program with EQUITAS. Over the course of the program, his offices back in Cameroon were ransacked by government forces. He believes they were seeking to expose him for opposing government policies which violated human rights. 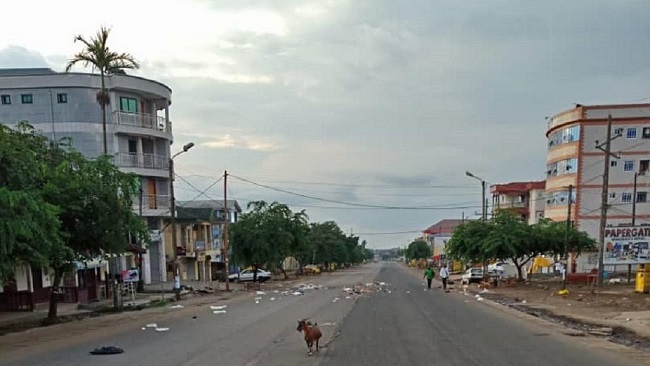 Since arriving in Canada, Awungafac’s hometown of Kumba, the largest city in the southwest region of Cameroon, has been militarized and his family home burned down. Though his wife escaped to Ghana, his 22-year-old step brother was killed, and many family members remain trapped in Cameroon with nowhere to go. “Every young man from 18 to 40 years, all of them are thinking of running. When the military comes they don’t care if you aren’t carrying arms,” he said. He has been informed by former colleagues that there is a warrant out for his arrest. In spite of all this, Awungafac has been denied refugee status in Canada, which he applied for in August 2015. 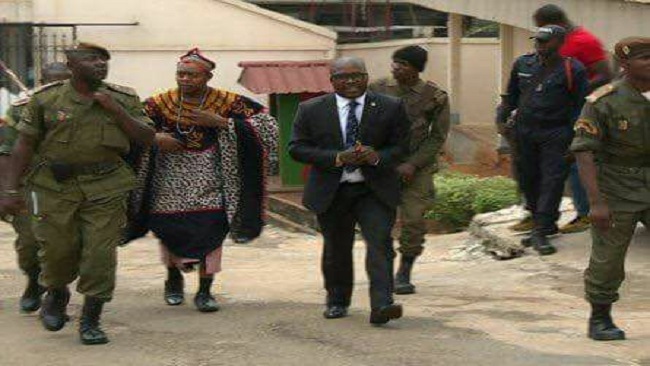 The denial is based on his affiliation with an anglophone group, the Southern Cameroon National Council, that has been flagged for its alleged intention to overthrow the government. 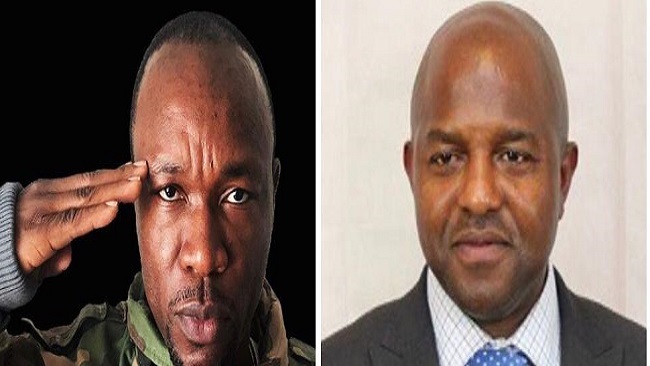 The decision of the Immigration and Refugee Board (IRB) refers to a single incident that took place in 1999, when a handful of individuals took over a local radio station and announced their independence from Cameroon. Awungafac explains that this act was not reflective of the entire organization and that since that time, the group has splintered into smaller factions. Awungafac joined the group in 2005 and the faction he belonged to focused solely on education and non-violent advocacy. Nonetheless, the IRB denied his application based on evidence that the leaders of these groups are still interconnected, and its decision was found reasonable by the Canadian Federal Court of Appeal. Looming fears of deportation aside, Awungafac believes that Canada should step forward to support Cameroonians in resolving this conflict, as Canada represents the closest example of the harmonious federation sought by the anglophone Cameroonian community. “[Canada is] running a political structure that Cameroon had envisioned during independence. 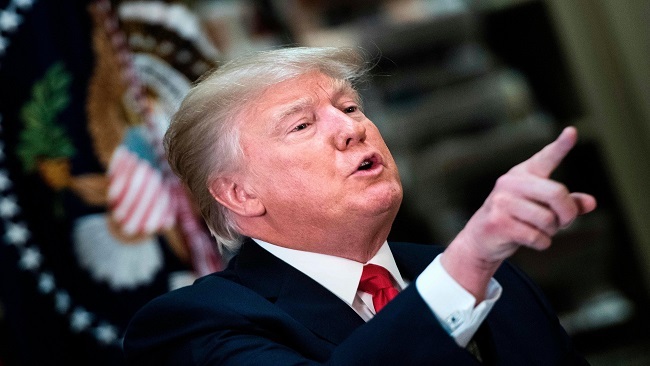 If truly we had a two-state federation, I don’t think there is anybody that would have agitated for anything,” he said. Both Awungafac and Eliadis believe that Canada’s position as a member of the Commonwealth and the Organisation internationale de la Francophonie leave it well-positioned to gather international support and attention on behalf of Cameroon. “Canada has an important role at the international level to push for dialogue,” Eliadis said. She believes that for mediation to be successful at this stage in the conflict, it must be taken out of the country and brokered by an international and independent third party. Canada, she believes, can help to see this realized. GAC has not been as vocal on the subject as Eliadis would like to see. Despite Nkongho’s words, GAC has not declared the atrocities taking place in Cameroon as crimes against humanity. After 10 long days, Nkongho left Canada in November having achieved at least one of his goals: Canadians were made aware of the conflict that continues to destroy his country. But whatever optimism he might have felt quickly dissolved as he returned to Cameroon and was met with more reports of violence, kidnappings and arbitrary detentions. There was hope that an all-anglophone conference organized by the Catholic church to discuss prospects for peace in late November would be a step forward. “We can go back to the drawing table and see how, in a holistic way, we can dialogue and find a long-lasting solution,” he told OpenCanada. But the conference was refused authorization by Biya’s government and cancelled at the last minute. Despite these setbacks, Nkongho’s will and determination remain strong. Just last week, as he shared recently, 289 people associated with the anglophone crisis were released from prison. “A peace process is not a one-day thing,” he said, his tone solemn but positive. He knows the road ahead is long, but is hopeful that his work in Canada and abroad has not fallen on deaf ears. Gunmen have killed a linguistics professor in Cameroon’s volatile English-speaking Northwest region, hit by a bloody separatist campaign and a brutal security crackdown, a university official said Friday. 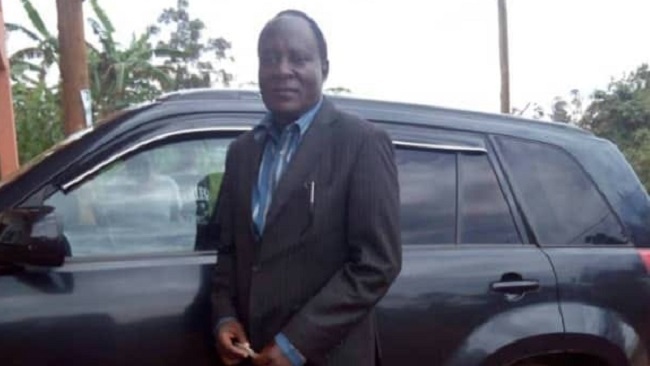 Paul Kuban Mbufong was shot dead on Thursday while going to work in the University of Bamenda, the institution’s rector, Emmanuel Suh Cheo, said in a statement. “He was killed by unidentified attackers who followed him to the place where he tried to hide” behind a nearby town hall, Cheo said, calling it a “macabre act”. The two anglophone regions in western Cameroon are the site of an uprising by armed separatists, who have also called for a boycott of local schools. They argue the French-language education system penalises English-speaking students. Since the start of the new term in September, insurgents have killed one principal, mutilated a teacher and attacked several high schools. 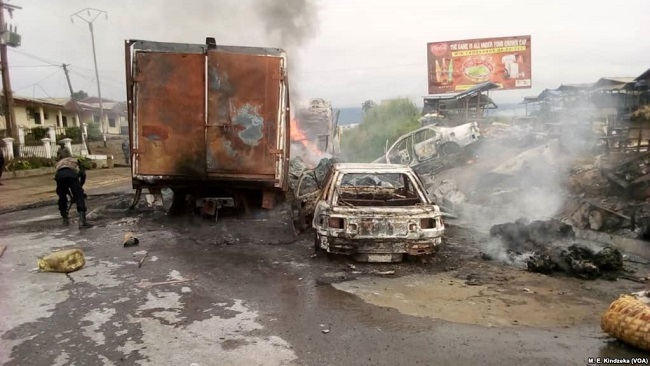 The violence, which erupted last year, has claimed the lives of at least 420 civilians, 175 members of the security forces and an unknown number of separatists, according to the International Crisis Group (ICG) think-tank. 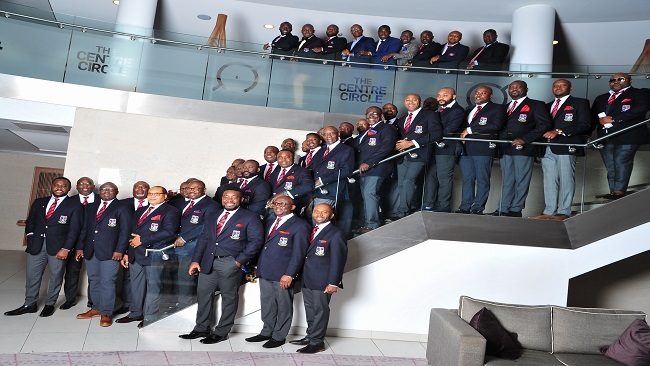 The members of the Sasse Old Boys Association, SOBA UK rose from an AGM today at Hilton Hotel Saint George’s Park Burton Upon Trent with a resolve to work tenaciously for the realization of the goals of the executive council. 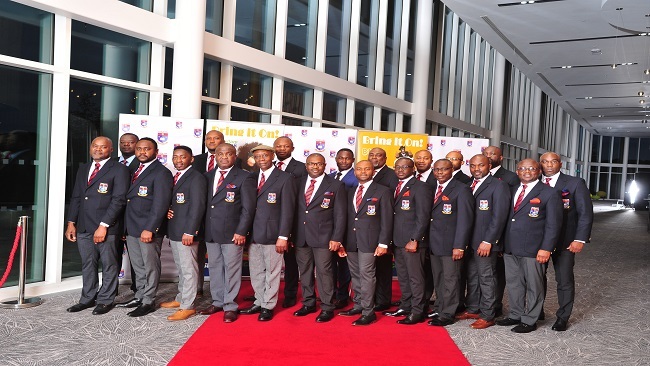 At the general assembly meeting that held under the chairmanship of the President of SOBA UK, Akoh Arrey, the Sasse Old Boys also reiterated their commitment to the principle of “Together We Succeed”, saying that only the general assembly of SOBA UK has constituted authority to change SOBA UK leadership. 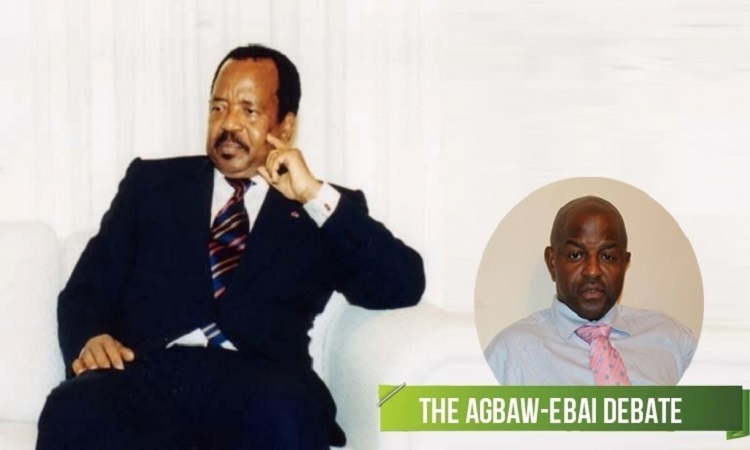 Cameroon Concord News understands that a strongly worded communiqué will be issued at the end of the Residential Convention on the bill of health of SOBA UK. 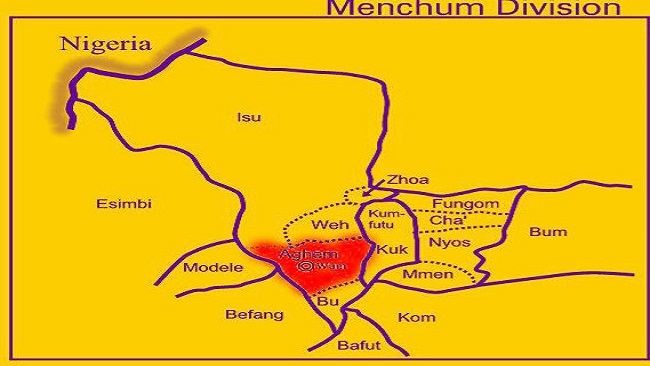 The memo will inter alia make public SOBA UK’s stance on the deteriorating relationship with the leadership of SOBA General in Cameroon. Our UK correspondent on special assignment who contributed to this report noted that in declaring their unflinching support for President Akoh Arrey and his team, SOBA UK members however demanded that the association should also focus on the crisis in the Northwest and Southwest regions in Cameroon which has led to thousands of people being displaced and significant loss of lives. We are keeping a watchful eye on the SOBA UK Residential Convention 2018 and we will keep our readers posted.